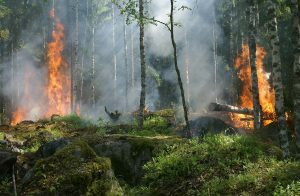 However, the recent record breaking temperatures and drought across many parts of Europe have put large areas of Swedish forest at risk. Rainfall in Sweden this year has been dramatically down - approximately a seventh of the normal amount. One has to look back to the C19th century to find similarly low figures. As a result of the high temperatures and reduced rainfall, river flows are dramatically reduced, silage / grass production is down so cattle farming is affected. People have been advised to stay inside and close the windows - to avoid breathing smoky air from the fires. In some areas, villages have been evacuated. In Uppsala (north of Stockholm) temperatures have reached 33oC. Indeed, even forest that lies within the Arctic Circle has ignited. As of Sunday (22nd July), there were some 53 fires burning on Sunday from the extreme north down to Malmo in the south. Italy, Germany, Poland and France have sent help - including firefighting aircraft . These planes can scoop up more than 6,000 litres of water from a nearby water source (Sweden has lots of lakes), and drop it on a fire without having to return to 'base' to refill its tanks. 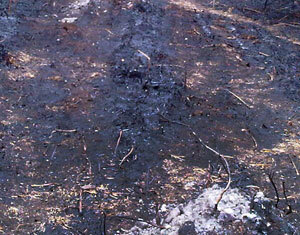 The fires have affected some 20,000 hectares and destroyed woodlands valued at [circa] £50 million. Areas in Denmark, Norway and Finland are also experiencing high temperatures and dry weather which, seems unlikely to end soon. Log fires and stoves – do we have to use hardwoods?